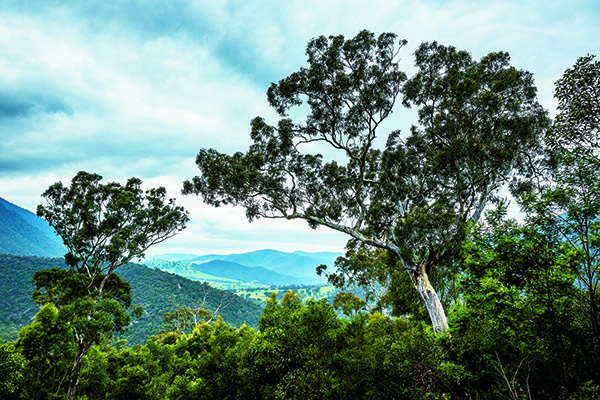 When it comes to spectacular scenery, the Victorian High Country would have to be one of the most highly regarded destinations in the country. 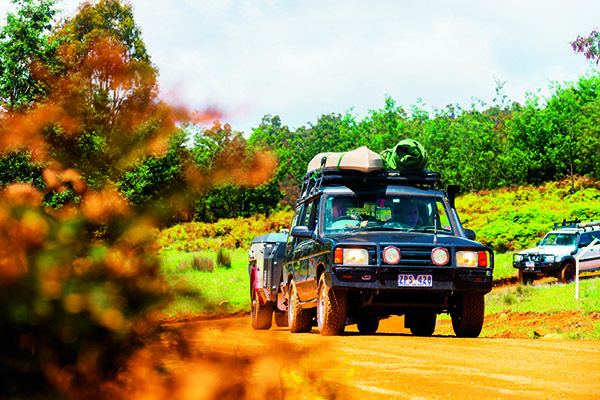 And a 4WD is, without a doubt, the best way to experience the High Country, but you’ll need knackers of steel to tackle some of the steeper tracks in the region – they range from mild to absolutely insane, and I’ll tell you what, it’s not just the gradient that can bring you undone, it’s the weather. A good rain can turn these tracks into a near-vertical slosh pit, and there’s plenty of wrecks lying on their roofs down the bottom of those big gullies to testify to the need to keep your wits about you. Plus, every now and then, the High Country welcomes a big blanket of fluffy white snow, which can make some of these tracks simply too dangerous to drive. But if steep, muddy tracks aren’t your forte, there’s a lot more to see and do in the High Country than meets the eye. 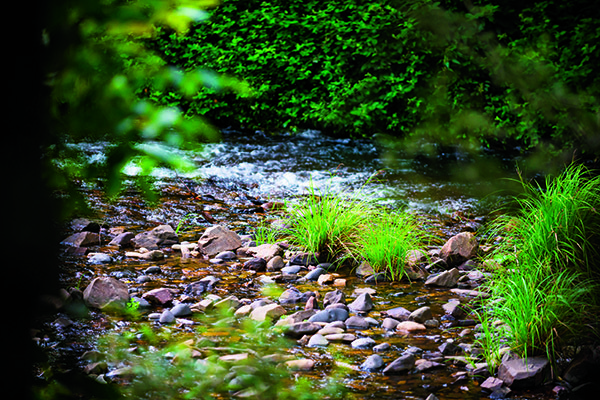 There are fresh water river streams like you’ve never seen before, a climate that can really turn it up a notch, and more history and quirky facts than Wonka’s Chocolate Factory. So sit down, grab yourself a cold beer and put your feet up as we bring you our complete guide to the best of the Victorian High Country. No trip to the High Country is complete without a decent stopover at the little, yet well-known, town of Dargo. 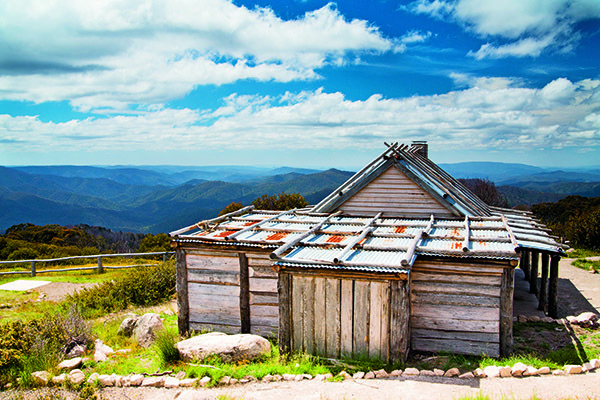 Despite being the most remote town in Victoria, Dargo is an absolutely cracking spot to base yourself for an unforgettable High Country adventure. It’s surrounded by towering mountains, and lies about 4-5 hours east of Melbourne. Plus, it’s really central to some of the best parts of the High Country. 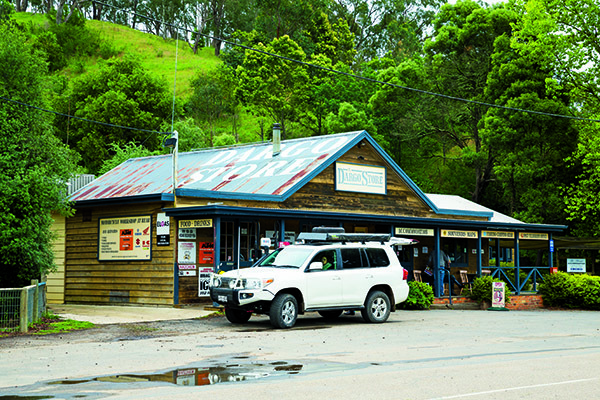 The Dargo Hotel is a hotspot for tourists and for good reason – it’s a classic old-school country pub, complete with photos of trackside 4WD failures plastered all over the pub walls. And I’ll tell you what: the chicken parma is absolutely cracking! But I’m going to let you in on a little secret: the beer is pretty bloody cold down at the Dargo River Inn, too. This place has recently changed hands, and the new owners are doing a pretty awesome job getting this old pub back in the limelight. The food’s great, the beer garden is cracking and there’s even a stage out the back when it comes time to kick it up a notch. They’ll even cater for events, and offer several well maintained cabins if you want to pamper yourself a little (not a bad idea if the weather plays havoc). 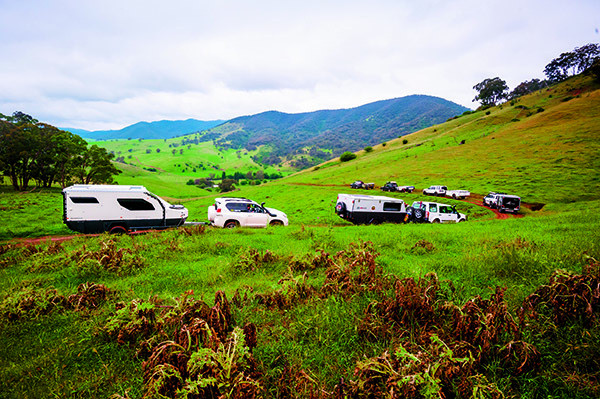 Plus, there’s a good sized campground around the side, and the publicans are mad keen into trail bikes, so facilities are coming for those adventurers on two wheels as well. If you don’t mind a splash, you can’t go past Crooked River Track. This little beauty will have you tackling 24 river crossings in just 7km, and some of these are among the most soothing in the area. The crossings all have a good solid pebbly base, and you’ll be able to check out the Good Hope Gold Mine along the way as well, which still has old machinery scattered around the place. If you’re looking for somewhere to camp on the Crooked River, look no further than Talbotville, which is about 45 minutes north-west of Dargo. It’s actually an old town, although there’s nothing left of it apart from a few old paved pathways. These days, it’s a wide open paddock with a few fire pits, pit toilets and serene riverside camping but, perhaps, its greatest attraction is its location. It’s a cracking spot to base yourself with a number of old gold mining sites in close proximity to explore, complete with old boilers and crushers that are still standing in their original locations. There are also some of the most iconic tracks of the High Country within cooee of Talbotville, plus you’ll absolutely love the swimming, fishing and bushwalking on offer, too. Possibly the most iconic of all High Country tracks is the Billy Goat Bluff Track, and for good reason. If you like the heart-in-throat type of driving, then scrambling for roughly 7km up a near-vertical track should do the trick. About three quarters of the way up, you’ll get the chance to stop at ‘The Bluff’, which is basically a narrow ridge-line section that gives you the opportunity to stop and take in all the scenery. But with sheer drops either side, you’ll feel like you’re balancing on a knife’s edge, and continuing further doesn’t get much easier either, with several rock steps to conquer before you actually hit the summit. The summit offers 360° views and, being about 1700m up, they’re not too shabby either. I can almost guarantee you’ll never want to leave, not just because of the awesome scenery, but because the only way home is back down the same track! Imagine standing at the top of one of the most scenic mountain ranges in Australia, some 1700m up with nothing but your 4WD and a camera. Well, that’s pretty much what you can expect with a run up the Blue Rag Range Track. In truth, most of the track isn’t that difficult but the last 200m or so will turn your knuckles white and your trousers, well, let’s just say you should probably carry spare pants! That last 200m can be pretty daunting being that high up with a few rock steps to tackle, but the views at the top are well worth the extra effort! 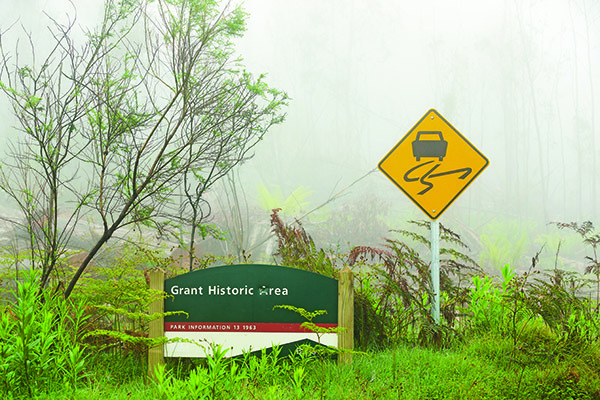 If you keep following the track you’re in for a real adventure with the longest descent that’s accessible to the public in Australia. We’re talking about dropping 1200m down before you hit the banks of the Wongungarra River, where the camping and fishing will keep you entertained. The only thing is, you’ll have to climb back out of there to get home, which is dead-set white-knuckled adventure at its best! If you own a 4WD and are keen for the adventure of a lifetime, it’s pretty bloody hard to beat the Victorian High Country. It’s the sort of place that keeps you hanging to go back, but can leave a lump in your throat just thinking about those dicey sections with steep drop offs. If you’re planning your trip, take the time to really research the places you want to go and see. Make sure you pack the fishing rod, and like I said, a few spare pairs of underpants wouldn’t go astray, either! Oh, and make sure you pack your camera too, with some of the most amazing views in the world, we guarantee even the most hopeless of photographers will get a few cracking happy snaps here and there!